Hold your horses, before you go spamming your link all over please read on. The days of link building as we used to know it are far gone and actually, can damage your site and reputation. 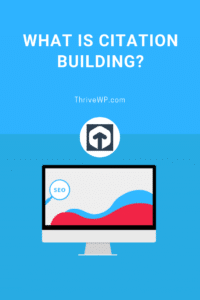 It’s not to say link building is dead, we just need to do it the proper way! Citations are a very important factor in local SEO and one not to be overlooked even if your link is not included. The folks at MOZ explain this the best. Citations are defined as mentions of your business name and address on other webpages—even if there is no link to your website. An example of a citation might be an online yellow pages directory where your business is listed, but not linked to. Citations can also be found on local chamber of commerce pages, or on a local business association page that includes your business information, even if they are not linking at all to your website. Businesses with a greater number of citations will probably rank higher than businesses with fewer citations. Now we know how important they are let’s look at the best places to put your citations. Remember to keep your consistent NAP (Business Name, Address and Phone Number). Google is clever but if your details are not the same on all citation listings it may result in them being missed or not counted. Don’t forget listings like the local chamber of commerce directory. Council directories and local business directories. Before you go jumping ship and looking for the best citation building service or directory submitting service think about this. Entering your details on each service manually will give you the best results. Paid and free submitting services are not always great. They can get your information wrong or put it in the wrong place in submission forms all resulting in a waste of time and money.